Regulation seeks preventing warlords funding their militias by selling minerals to European companies. Karel De Guch, the European Union’s trade chief, is ready to submit a voluntary certification scheme to the block’s lawmakers and governments, which aims to prevent warlords funding their militias by selling minerals to European companies. The EU’s trade directorate had been expected to publish a regulation that would secure uniform compliance among coalition members – and beyond – by the end of last year. However it was delayed without explanation. The proposed regulation would allegedly only cover gold and the “Three T’s” — tin, tungsten, and tantalum— leaving diamonds out, Reuters reports. 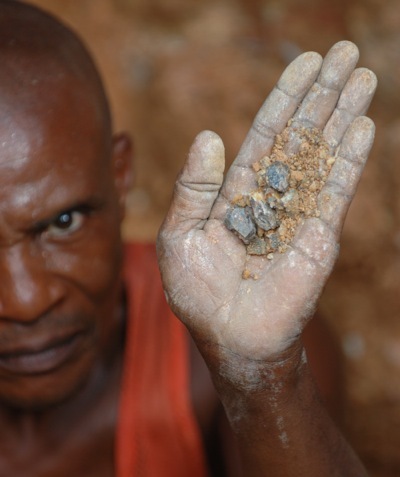 The EU is already a member of the Kimberley Process, a government, industry and civil society initiative set up in 2002 to control the use of rough diamonds that fund rebel movements and human rights abuses. Analysts believe the Dodd-Frank Act provisions on source-checking materials acquired from the Democratic Republic of Congo (DRC) or nearby, have been a catalyst to international efforts to deal with the conflict minerals problem. Dodd-Frank forced the US Securities and Exchange Commission (SEC) to create rules for addressing whether conflict minerals were benefitting armed groups in the DRC, and introduced a “due diligence” certification plan, imposing companies to source-check materials. The set of rules also caught European firms operating in the DRC in its net, and this in turn nudged the EU to come forward with its own proposal.